“A study led by physicists at Swansea University in Wales, carried out by an international team of researchers and published in the journal Physical Review X shows that ion-trap technologies available today are suitable for building large-scale quantum computers. The scientists introduce trapped-ion quantum error correction protocols that detect and correct processing errors. Markus Müller and his colleague Alejandro Bermudez Carballo explain that in order to achieve this goal, the capabilities of the technological platforms have to be optimally exploited. “For beneficial error correction we need quantum circuits that are stable and work reliably under realistic conditions even if additional errors occur during the error correction,” explains Bermudez. They introduced new variants of fault-tolerant protocols and investigated how these can be implemented with currently available operations on quantum computers. The researchers found that a new generation of segmented ion traps offers ideal conditions for the process: Ions can be shuttled quickly across different segments of the trap array. Precisely timed processes allow parallel operations in different storage and processing regions. By using two different types of ions in a trap, scientists may use one type as carriers of the data qubits while the other one may be used for error measurement, noise suppression and cooling. 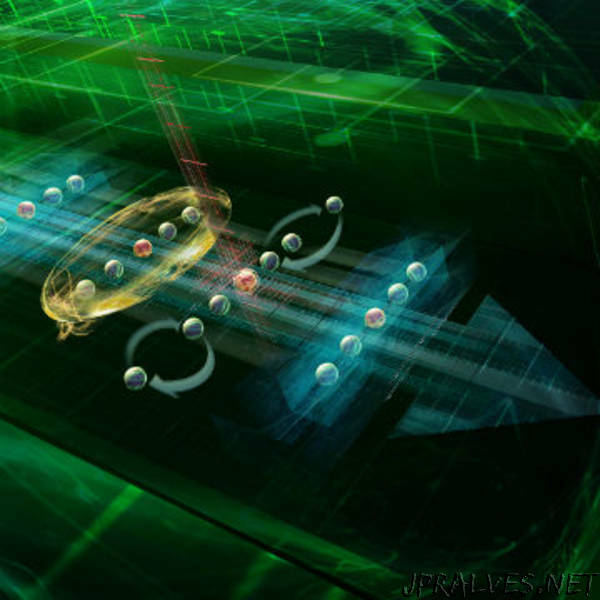 Building on the experimental experience of research groups in Innsbruck, Mainz, Zurich und Sydney the researchers defined criteria that will allow the scientists to determine whether the quantum error correction is beneficial. By using this information they can guide the development of future ion-trap quantum computers with the goal to realize a logical quantum bit in the near future that, owed to error correction, exceeds the properties of a pure physical quantum bit.